When a tooth is suffering from a severe dental problem that is beyond other restorative treatments, a dental crown can be the solution. Patients who have a broken tooth, or severely decayed teeth or need dental implants may benefit from dental crowns. A crown is a type of “cap” that is positioned over a tooth to restore its appearance, shape, size and also regain functionality. Crowns can be made out of different materials, gold and silver crowns were widely used in the past, but ceramic and porcelain crowns are being preferred now because they match the color of natural teeth making the crowns undetectable. Can help preserve more natural tooth than with a metal crown. Once the crown is ready, it is cemented to your tooth, and the procedure is completed. Good oral hygiene is strongly recommended to maintain your dental health and your crowns in a good state and make them last for decades. 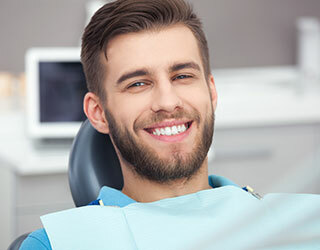 If you need a dental crown, our team is ready to fit you with a dental crown in just one visit. Call Polaris Dental Care at (614) 758-6522 to schedule an appointment today! "I love the staff!! There very nice and it feels so homie when your in there. (:"